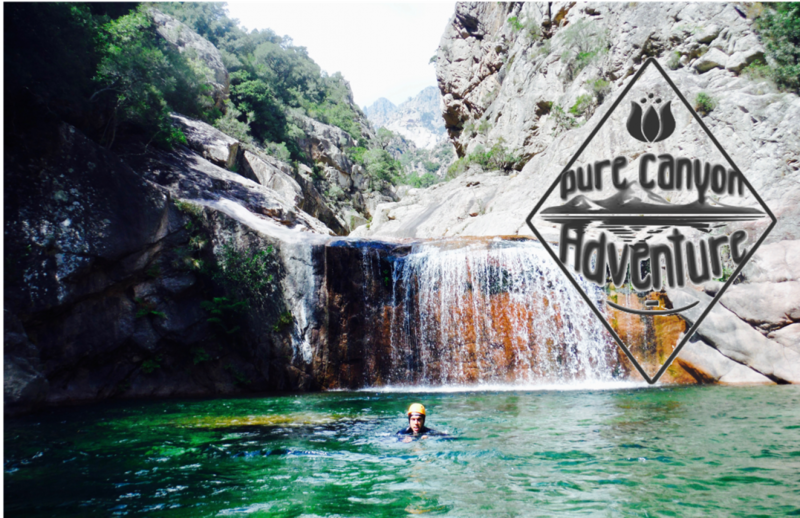 Canyoning in the Baracci, close to the city Propriano, a perfect canyon to discover the activity. Get familiar with the rope techniques, some crazy jump and a zip-line. Nice pick-nick spot for lunch time. After that the canyon continues with a beautiful aquatic walk with four more waterfalls at the end to finish up a wonderful beginning of our workshop. The Baracci makes canyoning very playful. You can chose to stop the canyon after one hour and a half or to continue for two hours more. The first part is perfect to discover or re-enter into this activity. The second part give an other pace : the walk betwen the obstacles is longer but interesting thanks to a luxuriant vegetation and beautiful sights. The walk is almost nothing : from the parking you have to walk three minutes to reach the start of the canyon. There is no wait : you enter the activity straight ! You will find many different obstacles like jumps, abseils, climb down, slides, and the guide will always give you the choice between easy or less easy ways. You will maybe try the famous « matrix » jump… The jumps in this canyon goes from 1 meter to 10 meters, so everyone will find one that meet his expectations. Some are technical and you will need to follow carefuly you guide’s instructions. This is a very wild canyon, steep-sided and not crowded. These aspects will be even more obvious in the second part, less made than the first. You will have few jumps, slides, but the highlight of this second part is a 20 meters abseil. The walk back last 15 minutes to get to the road, where a car has been left before. You will then to the shuttle between this arrival point and your departure point (8-10 minutes by car).